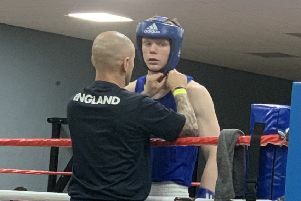 Luton boxer Jordan Reynolds takes to the ring on Friday night when he faces the Danish welterweight champion in Romford. Reynolds, who won two British titles last year, also became number one in Great Britain in the light welterweight and junior welterweight class. Speaking about the bout, Reynolds, who fights for West Ham Boxing Club, said: “He’s a very tall orthodox boxer who likes to move around and keep it long. “I think I’ve got more than enough to deal with him but I must make sure I perform on the day otherwise he will take it from me.